The UN's Human Rights Commissioner began sending letters two weeks ago to 150 companies in Israel and around the world, warning them that they are about to be added to a database of companies doing business in Israeli settlements in the West Bank and in East Jerusalem, senior Israeli officials and Western diplomats involved in the matter told Haaretz. 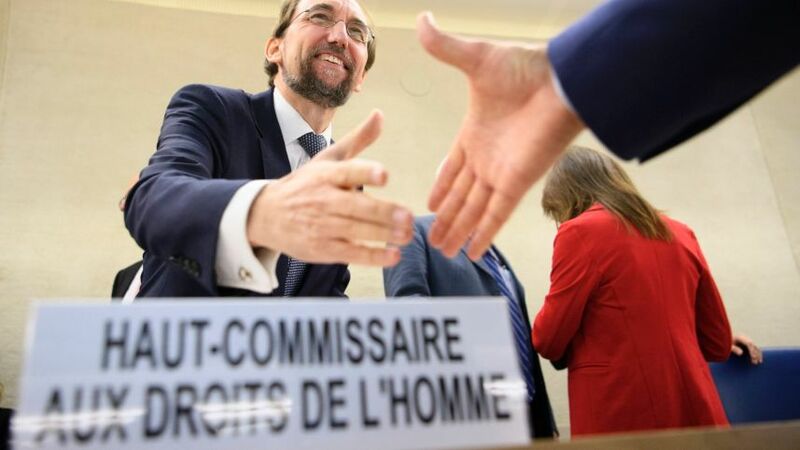 The Israeli official, who requested to stay anonymous due to the sensitivity of the issue, noted that the letters, sent by Zeid Ra'ad Al Hussein, said these firms were doing business in the "occupied Palestinian territories" and could thus find themselves on the UN blacklist for companies acting in violation of "internal law and UN decisions." The letters, copies of which also reached the Israeli government, request that these firms send the commission clarifications about their business activities in settlements. A Western diplomat, who also requested to remain anonymous, noted that of the 150 companies, some 30 were American, and a number are from countries including Germany, South Korea and Norway. The remaining half are Israeli companies. The Washington Post reported in August that among the American companies that received letters were Caterpillar, Priceline.com, TripAdvisor and Airbnb. According to the same report, the Trump administration is trying to work with the UN Commission on Human Rights to prevent the list's publication. Israel's Channel 2 reported two weeks ago that the list includes some of the biggest companies in Israel, such as Teva, Bank Hapoalim, Bank Leumi, Bezeq, Elbit, Coca-Cola Israel, Africa-Israel, IDB, Egged, Mekorot and Netafim. Senior Israeli officials said the Israeli fear of divestment or scaled-down business due to the blacklist is already becoming a reality. They said that the Economy Ministry's Office of Strategic Affairs has already received information that a number of companies who received the letters have responded to the human rights commissioner by saying they do not intend to renew contracts or sign new ones in Israel. "These companies just can't make the distinction between Israel and the settlements and are ending their operations all together," the senior Israeli official said. "Foreign companies will not invest in something that reeks of political problems – this could snowball." An inter-ministerial committee comprising the ministries of Foreign Affairs, Strategic Affairs, Justice and Economy is still working to try to prevent the list's publication. Nonetheless, the assessment among most of those involved in the government's efforts is that it is inevitable and that the list will likely be made public by the end of December. As part of an attempt to minimize its potential damage, Israel is attempting to reach out and hold talks with the foreign companies named on the list, stressing that it is non-binding and insignificant. It also told them it is reaching out to foreign governments to inform them that using the list is tantamount to cooperating with a boycott of Israel. In March 2017, the UN Human Rights Commission in Geneva voted for the resolution being pushed by the Palestinian Authority and Arab nations, according to which the commission would formulate a database of Israeli and international firms directly or indirectly doing business in the West Bank, East Jerusalem or the Golan Heights. The decision passed despite massive pressure by the U.S. to soften the resolution's wording. Even an attempt by the EU to reach a deal with the Palestinians to drop the clause from the resolution stipulating the blacklist's formulation, in return for the support of European nations for the rest of its articles, failed.